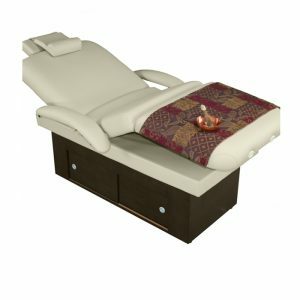 • Handheld electronic control for easy and accurate positioning that is smooth, quiet, and instantly achieved (backrest, eat, footrest, and height). • Contemporary appearance with rounded profiled edges. 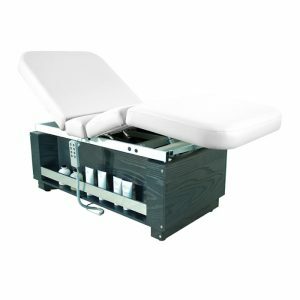 Electrically adjustable base height and cushion positioning for perfect treatment position. • Stability and power to lift clients of all sizes up to 600 lbs (363 kg). 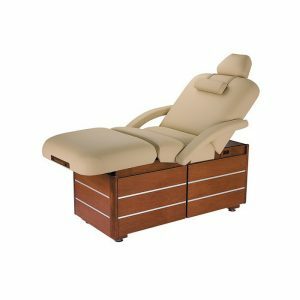 Offers storage on sides for products and accessories. 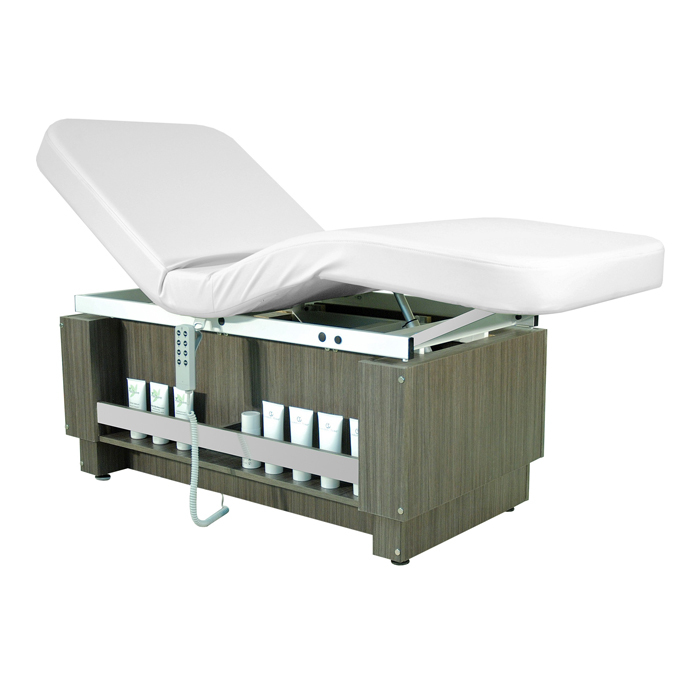 • Leatherette extensible “Legacy” exclusive to the range NewStream Spa One & Serenity.